Epiretinal membranes, also known as macular puckers, are a complication affecting the macula, the center part of the retina responsible for clear central vision and capturing fine detail (e.g., small print). Most epiretinal membranes cause no noticeable symptoms. But when an epiretinal membrane does distort vision, Dr. Michael Elman at the Elman Retina Group offers complete treatment intervention. An epiretinal membrane is a thin layer of scar tissue that forms over the surface of the macula. Normally, the macula lies flat against the back wall of the eye. But as the scar tissue forms, it can cause the macula to contract and wrinkle (or pucker). Many cases of epiretinal membranes or macular puckers do not cause any symptoms. Vision remains the same or nearly the same. However, some macular puckers cause thickening and wrinkling of the retina resulting in changes to vision. Individuals with macular puckers may notice that lines or shapes that should look straight, like a door frame, instead appear wavy or crooked in the affected eye (the other eye may see normally). Only a fraction of cases affect both eyes. In rare cases of macular pucker, symptoms like double vision or sensitivity to light can occur. Sometimes images may look larger or smaller than they actually are. 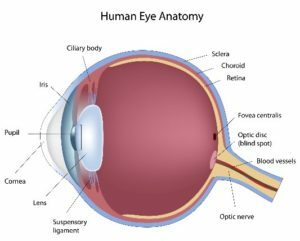 What Causes an Epiretinal Membrane to Form? Most epiretinal membranes are related to a deterioration of the vitreous humor, which is the jelly-like substance that fills the center of the eye. With age, the vitreous can shrink and start to tug on the retina — the layer of light-sensitive tissue lining the back of the eye. This causes scar tissue to develop on the retinal surface, resulting in the wrinkling or puckering of the retinal tissue. Epiretinal membranes have been linked to other complications in the retina, including retinal tears, diabetic retinopathy, retinal detachment, inflammation and trauma to the eye. Epiretinal membranes are diagnosed through a dilated eye exam. An imaging test called coherence tomography (OCT) may be performed to scan the retina and identify the presence and extent of scar tissue. Another test, called a fluorescein angiogram, uses a special vegetable-based dye that is injected into a hand vein. This test looks at the circulation in the retina, and may be performed to look for other retinal problems that may have contributed to the macular pucker. Once an epiretinal membrane has been diagnosed, associated swelling or leakage in the retina can sometimes be treated with eyedrops or other ocular medications. Depending on the degree of symptoms and vision loss, Dr. Elman may treat epiretinal membranes or macular puckers with a surgical procedure called a vitrectomy. During vitrectomy, which usually is sutureless, the surgeon makes three tiny, self-sealing incisions in the eye. Next, Dr. Elman removes the vitreous humor, which is replaced with saline. Removing the vitreous gel enables him to safely reach and remove the membrane wrinkling the surface of the retina. As with cataract operations, vitreous surgery typically is performed under “twilight sleep” as an outpatient procedure. Vitrectomy surgery is a safe procedure and complications are rare. The outcomes in most cases are very good. 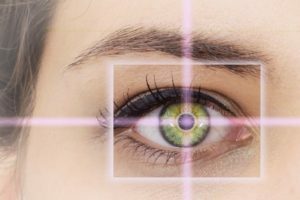 If you are experiencing any changes in your central vision or are unable to see small print or recognize faces, you should be evaluated by Dr. Elman and our team. Please contact the Elman Retina Group today to make an appointment.